It’s the most anticipated race of the season. For the past couple of weeks, the Greenville cross country team has gone to bed with the main event heavy on their minds. This point in the season is the most exciting. 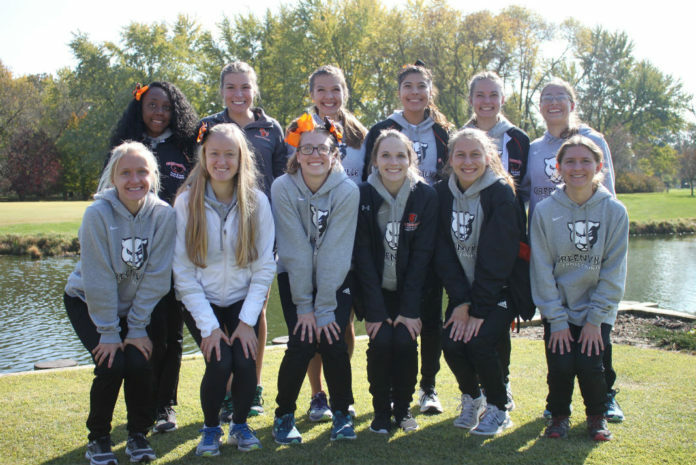 The women’s cross country team had put in so much grit and grind that the spectators present could hardly wait to watch the dogfight that took place at the Litchfield Country Club. Nine teams looked to take home a conference title. Greenville had an extraordinary season thus far, especially for having so man young contributors to the team. With only two seniors and one junior on the varsity team, pressure pushed for underclassmen to bring their best efforts. With tensions high and beautiful weather, the St. Louis Intercollegiate Athletic Conference (SLIAC) Championship was a stiff race to watch. Sophia Allen picks up the pace. This particular course is notorious for running fast. The Litchfield golf course is home to many runners’ personal records because of its great footing and short hills. It also helped that the weather was near perfect. With high anticipation and ideal conditions, it was a good day to have a great race. However, some runners who had put up exceptional times during the season dealt with some factors that influenced their race in a negative way. Both Kori Nesbit, junior, and Sheridan Noll, senior, have typically been critical members in scoring some significant points. They still put up crucial points this weekend, scoring 20th and 19th place out of fifty-five finishers but were unfortunately disappointed with the times they clocked. They showed leadership through their support to the other members of the team who were able to crack potential they didn’t know they had. There was strength in the pack. Finishing with Nesbit and Noll was Sabrina Favela, freshmen, in 18th place, benefitting the team with a time of 25:46. Putting up a personal record of 25:00 and coming in fourteenth, earning her Second Team All-Conference honors and was a crucial contributor to the team score was Emma Leonhard, a freshman. 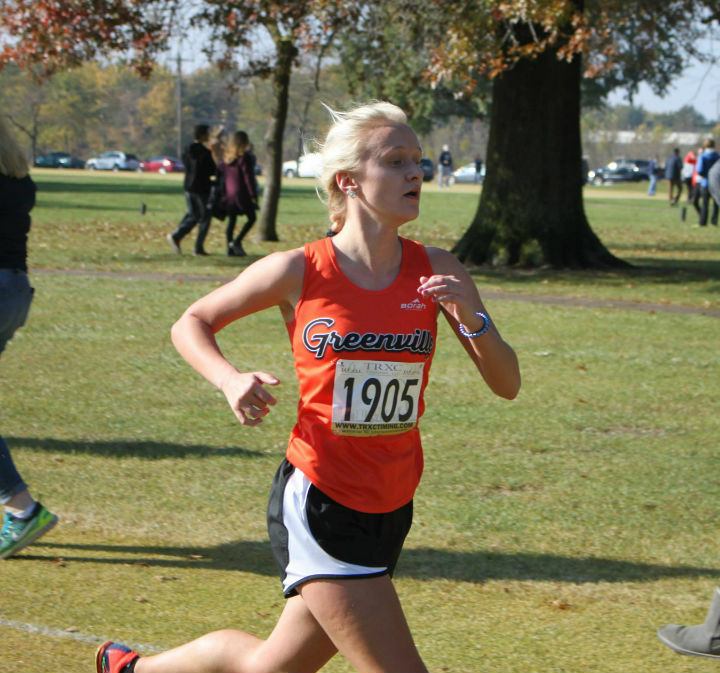 Finishing in thirteenth and also making Second Team All-Conference was Sophia Allen, freshmen, aiding the team’s score with a 24:55. Then, as the eleventh finisher, Hannah Williams produced an exceptional finish of 24:41, also placing her on Second Team All-Conference. 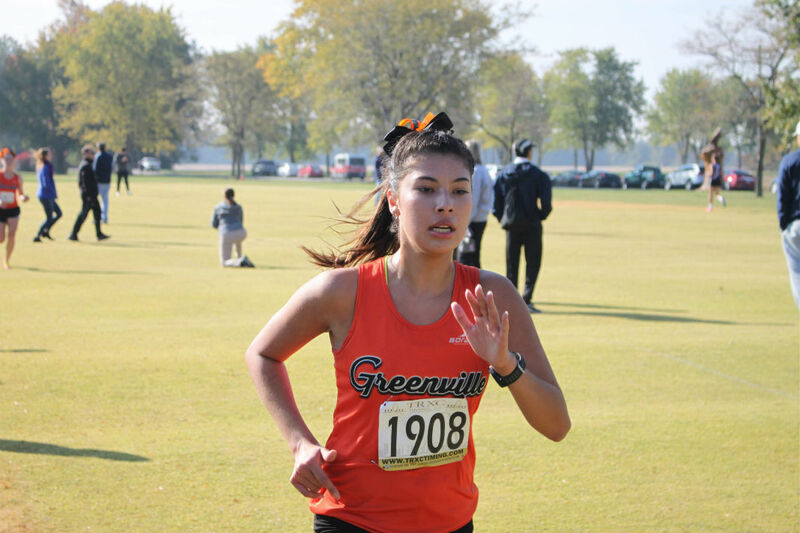 Leading the team as the eighth individual to cross the line with a time of 24:08, missing first team by a hair, and also a member of the All-Sportsmanship team, was Shirley Estes, senior, who had an outstanding day as a Greenville Panther. These ladies are tough and dedicated, and it was a tremendous day as a spectator. The team ultimately came in second out of nine competitive teams. Nesbit felt that “The team has a lot of young runners but give us a year and and some fresh recruits and we will be tough.” There’s so much young talent on this team, and if I were the winning team, I would keep an eye out for Greenville Panthers next year.